It’s been a while since I’ve done one of these! 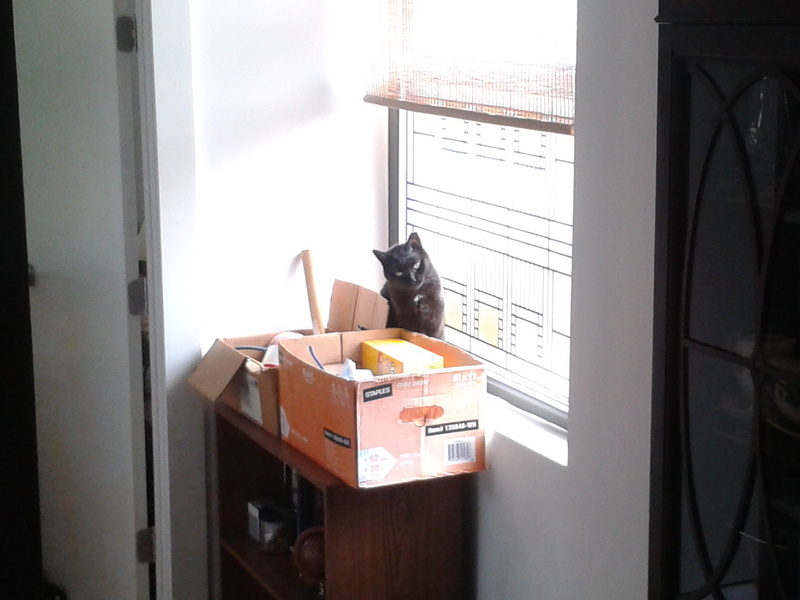 Olympia (pictured above, enjoying some window time) has been living with us for just over a year now, and if you met her today you’d never know she had previously been living as a feral cat for six or seven years. She has become indistinguishable from your average domesticated house cat now. The change is remarkable. She doesn’t hide when strangers are in the apartment anymore. She barely spends any time under the bed, choosing instead to sleep on top of the bed all day, or spend time with us in the living room in the evenings. She likes to sit with us and be part of things. She often enjoys watching the shapes and sounds coming from the TV screen. (That’s right, she loves TV just as much as I do! Like father, like daughter?) She has no qualms about coming right up to you and asking for affection. She’ll even let us pet her while she’s eating now. She remains bonkers for the laser pointer, and has come to recognize the sound of the drawer opening where the laser pointer is kept, to the point where any time she hears it she comes running. The only thing she’s still not into is being picked up, but we’re getting there. She’s not much of a lap cat yet, either. Give it another year, I think, and she’ll be all about laps. 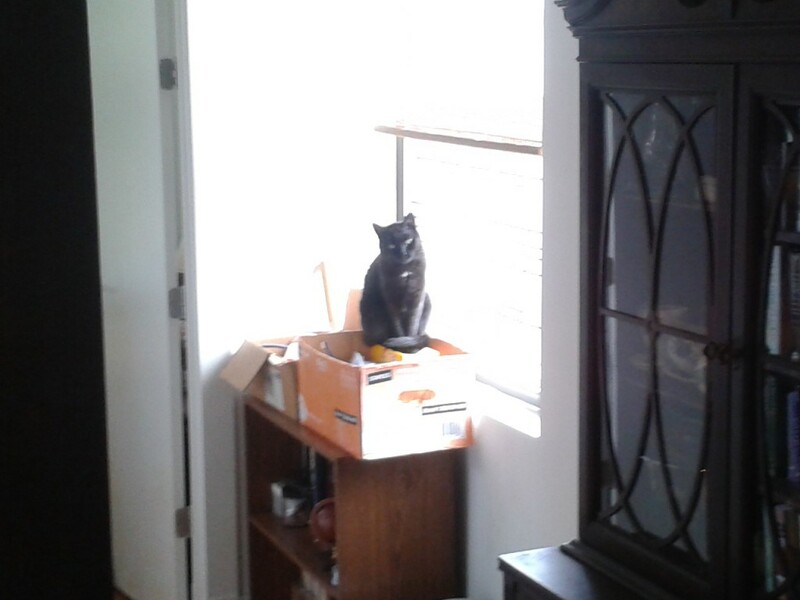 One of her new favorite places to sit, other than the window sill, is on top of a yellow box of Swiffer Duster refills in front of the same window. (Pictured above, slightly out of focus.) This is where she has started greeting me from in the mornings, when I stumble out of the bedroom. She and Galapagos are getting along about as well as can be expected. When they’re tired, they have no qualms about sharing the bed. When they’re awake, though, it’s punch-and-chase time, with Galapagos usually doing the punching and chasing. (The punch is probably more of a “hey, let’s play” tap, but it resembles a punch to my eyes.) Galapagos has maintained her dominance due to seniority — she was here first and she’s not going to let Olympia forget it — which means she’s usually the one doing the chasing, not the one being chased. Though once or twice we’ve seen Olympia chasing her in return. It’s rare, though. They roughhouse, but it’s never that bad and no one gets hurt. Galapagos also doesn’t like it when Olympia eats breakfast before she does. Despite there being two bowls of food available, if Olympia gets to one first, Galapagos will muscle her way in and start eating from that same bowl, usually forcing Olympia to back off while I remind them each time, fruitlessly, that there are two bowls. Cats. What are you gonna do? So that’s about it. Olympia is doing great. She’s gotten a lot more comfortable here, which means she walks upright with her tail held high instead of doing that weird lizard-scuttle she did when she first arrived. Her head tilt isn’t as bad as it used to be, either. It’s still there, as you can see in the photos, but I think stress was making it worse, and now that she knows she’s safe and cared for, the stress is gone and she holds her head a little bit straighter. Oh, and the other day she sat and watched me get out of the shower with a “What the f— are you doing, you’ll get wet in there!” look on her face, which I think may be the last hurdle toward true house catdom. 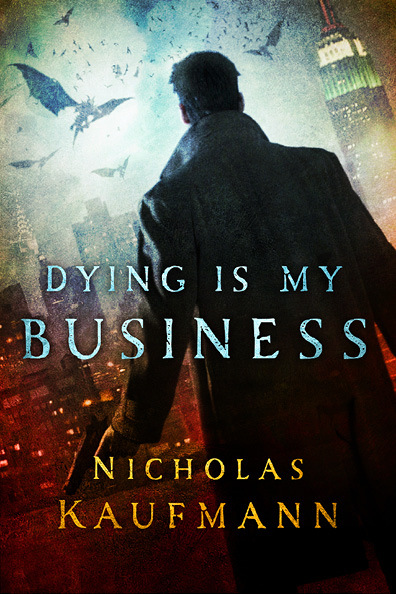 As we move steadily toward the October 8 pub date for Dying Is My Business, St. Martin’s Press has begun to focus on their marketing plan. To that end, they sent me an author marketing questionnaire. I’d never filled out a marketing questionnaire that was quite so thorough before. You should have seen this thing. It was five pages long and had dozens of questions! It took me half a day to get through it all! But it’s all good stuff, information they can ostensibly use to market the novel (and me) more efficiently. Questions ranged from the personal (Do I have hobbies? What countries have I traveled to?) 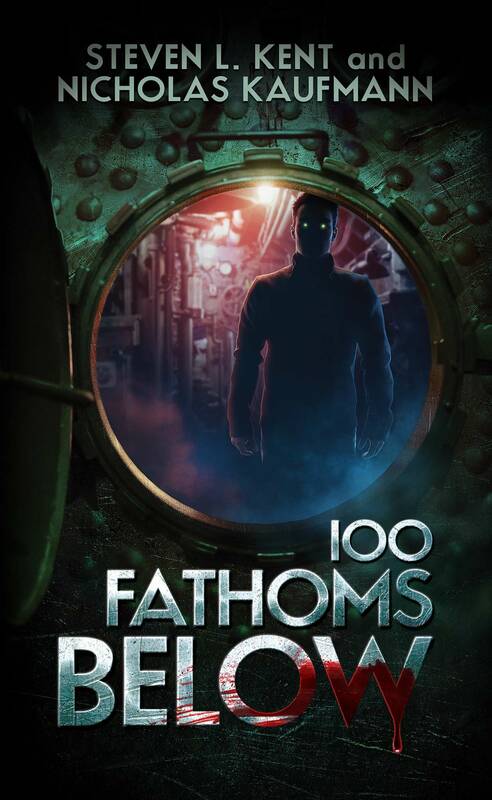 to the ubiquitous convention panel-type questions (What inspired me to write the novel? What kind of experience has writing the novel been for me?) to the professional (Have I ever been nominated for an award? Which magazines do I think should get review copies?) to the kind of questions that are probably best left to others to answer (What features distinguish my book from others on the subject? What about me as a working writer do I think might be interesting or unusual?). It was a fascinating experience, actually. I found that being forced to think of myself in marketing terms was unexpectedly rewarding. What does make me interesting? Why would anybody want to read my novel? Discovering that you can actually answer questions like these makes you feel pretty good about yourself and your work. I also had a productive and friendly conference call with both the Marketing Manager and the Director of Digital Marketing and Social Media at St. Martin’s. We discussed various online strategies to get readers’ attention, as well as some interesting ideas I never would have thought to make use of. (To my relief, they seemed okay with the fact that I will never, ever go back to being on Facebook. Ever.) These folks really know their stuff. Apparently, there is also a publicist who will be assigned to my novel to help with offline stuff, but I won’t get to chat with him or her until closer to the pub date. So far, I have to admit my experience with St. Martin’s Press has been pretty great. From my editor to the online marketing folks I spoke with, everyone seems top notch, experienced, knowledgeable, and eager to make the book a success. I feel like I’m in really good hands. Now I’m just antsy for the damn thing to be published already! After a very disjointed and lackluster season, Doctor Who sprints to the finish line with a superb example of what the show can do now that it’s been freed from the narrative shackles of the Amy-Rory-River arc: the Season 7 climax “The Name of the Doctor.” Let’s dive in, shall we? MAJOR SPOILERS FOLLOW! BE WARNED! I think what I liked especially about this episode is that it had stakes. For the past two seasons, there haven’t been any real stakes involved to the season enders. In Season 5, a crack in time and space is going to destroy the entire universe, but that’s okay because the Doctor can just reboot the universe. In Season 6, the Doctor has to die or all of time and space will get messed up, but that’s okay because the Doctor can fake his death with a robot and apparently that will satisfy all the cosmic demands of his death. In “The Name of the Doctor,” at least, characters wind up using their smarts and their abilities to defeat the bad guys and save the Doctor’s life. There’s no “trick” here, no sneaky way out. There are stakes, and those stakes are real, and they are overcome through the actions of the characters. More of that, please. What’s also interesting is that even though this is Trenzalore, the events that take place don’t seem to jibe with Dorium’s warning about the planet. He said: “On the fields of Trenzalore, at the fall of the eleventh, when no living creature can speak falsely or fail to answer, a question will be asked, a question that must never, ever be answered. The First Question, the oldest question in the Universe, that must never be answered, hidden in plain sight: Doctor who?” While the Doctor’s name is a plot point in this episode, it is neither revealed upon the Great Intelligence’s asking, nor is there anything about not being able to speak falsely. Online, some have posited that this is what Dorium warned him about, that the “fall of the eleventh” happens when the Doctor cuts the antigrav so the TARDIS will fall to the planet’s surface, and that “silence falls” when the stars start to go out, but I think that’s stretching it. 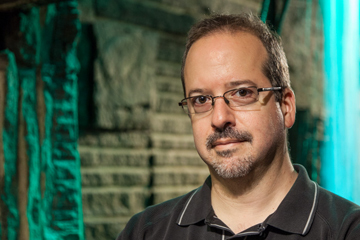 The events Dorium warns about are supposed to bring about the fall of the Silence, that secret society revealed in Season 6, and the Silence has nothing to do with this story. But we do learn that a big battle took place on Trenzalore in which the Doctor died, so it’s possible the battle that’s referenced is the one Dorium warns about. This would make it yet another example of Moffat presenting plot points out of order. Much to my surprise, considering how overcomplicated and riddled with plot holes Steven Moffat’s grand schemes usually are, the explanation for the multiple Claras works. There’s a lot of science fiction handwaving about how it works — can a timeline actually be a physical doorway? — but it works on a storytelling level. What’s more, it gives us a wonderful, brilliantly nostalgic opportunity to see all the classic Doctors we won’t be seeing in the 50th anniversary special. Well played, Steven Moffat! (That said, some of the CGI was awful. Patrick Troughton might have been the worst, running in his fur coat across a green screen beach at a completely different speed from everyone else.) Most interesting, though, was Clara’s interaction with the First Doctor and Susan. The implication here is that one of the Claras is Gallifreyan, which opens such a can of worms! I mean, did she continue on, regenerating when needed, and eventually die in the Time War? Is Chancellor Flavia’s last name perhaps Oswald? (I kid!) Clara telling the First Doctor which TARDIS to steal was pretty awesome, but it seems to nullify the idea that the TARDIS chose the Doctor as much as he chose it, which would be a sad loss to the mythology. This episode also nicely wraps up the River Song storyline, should they decide to end it. This is, after all, the post-Library River, and she and the Doctor get a wonderful, no-holds-barred goodbye scene. That said, I suspect River has at least one story left in her, which would be Dorium’s Trenzalore prediction, most likely the moment when she learns the Doctor’s real name. And then there’s John Hurt. Aside from the Doctor explaining that John Hurt is him but not the Doctor and then having the onscreen titles introduce him as “the Doctor” in direct contradiction to what the Doctor just said, his presence in that strange, hard-even-for-the-script-to-explain cavern that is also the Doctor’s timeline is absolutely thrilling. Even with only two lines of dialogue and a single action (turning around), Hurt shows what an incredible actor he is. His presence in the 50th anniversary special has been confirmed, and I can’t wait to see what they do with him. The Internet is abuzz with rumors about who he is. Most prevalent is the idea that he’s a “forgotten” or “repressed” incarnation, the one who actually pulled the trigger that ended the Time War. Which would make Eccleston really the Tenth Doctor, Tennant the Eleventh, and Smith the Twelfth. This seems rather overcomplicated and I’m not sure what the point of it would be — which means it’s right up Steven Moffat’s alley and so it’s probably true! By the way, how cool would it be if they went back to the scene in “The God Complex” where the Doctor opens the door to the room of his greatest fear and we see now that it’s John Hurt? “The Name of the Doctor” doesn’t wrap up everything, though. For instance, we still don’t know why the TARDIS doesn’t like Clara. We also don’t know why the Doctor is removing himself from databases across the universe, or what he hopes to achieve with that. Season 8 has been given the green light, so hopefully we’ll find out then. Or maybe in the 50th anniversary special. Strangely enough, I never considered Steve Carell’s Michael Scott my favorite character, but when Carell left the show, wisely sensing it was running out of steam after seven years, I quickly lost interest. I think I made it through roughly half the eighth season before opting out. Robert California, the replacement Regional Manager, was a disaster, despite being played by the superb James Spader. His character stuck out like a sore thumb. He belonged on a completely different show. Every plotline that focused on him was tedious. On top of that, I just couldn’t get into all the Andy and Erin romantic angst. They were no Jim and Pam. Not even close. So I stayed away from the show for a year and a half, but I decided to tune in to this week’s series finale, and I’m glad I did. I laughed a lot, and even got a little teary-eyed, just like I used to during the show’s heyday. (Though Ryan abandoning his baby was pretty questionable as far as funniness goes. I mean, come on, you guys.) Still, it was a great sendoff to a once-great sitcom. So long, The Office, and thanks for all the great memories. I forgive you for Robert California.